If they get a hankering to draw they will find a way to mark on something. No, drawing on other things than paper is NOT OK, but, it is normal behavior to want to see their art work and their name marking lots and lots of items. We actually want our children to make some dumb choices so they can learn consequences. In the above image, the 6 year old in my life was 2 1/2 years old. She did this the first day I presented then to her, in about 20 seconds that I left her alone. She is stuck with those wings. I never said another word. I did not throw them away, nor, did I replace those wings until a few weeks ago with another Dollar Tree pair of wings…and she discovered scissors!…need I say more? About a yeaar later she proudly wrote her name all over her legs until she ran out of space. When? I’m not sure, except she did take a extra ordinary amount of time in the potty. I had to laugh-to my self -as I bite my lip to keep from re-enforcing the negative behavior. I remember her mommy had done the same thing years before. 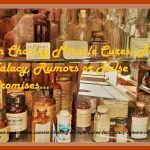 I knew that she would get pay her back some day…this is it! pay back time! …the older siblings..and..we ALL have written our names on things we should not have. As awful as it is, that is normal behavior for that age. over and over when she was in Kindergarten. I did not say a word. My silence will have a greater impact on her conscious. More No Non-cents Nanna Advice on Markers. Even the best of us parents, grandparents and child care providers will look away for 30 seconds to turn around to find a highly decorated child. Below are a few tips to save your very best from unappreciated art work. If you have children ages 0 to 10 NEVER own a pen or marker. Never use a marker or pen in front of a child. Set rules: These are your crayons and markers. These are my pens and markers. I will keep my markers in a safe place. Where would you like to keep your markers so the dog won’t eat them? As an adult, take charge of your own writing tools and or delicate items. Don’t leave them where kids can be tempted. 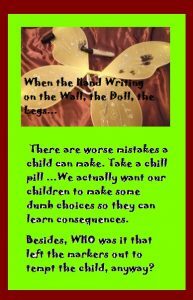 Let the child feel the consequence of their mistakes while those OOPS are still minor ones. No parent wants to take a child out in public wearing green and red marker on their face, really. But, you do have choices. Don’t take the child with you to the grocery store to pick out fruit, their favorite cereal or ride Penny the Pony. Get a baby sitter. They miss out- too bad! Maybe next time. Take the child with you-as they are…too embarrassing? Embarrassing for who? Let me tell you to hold your head high when you take out your marked child. 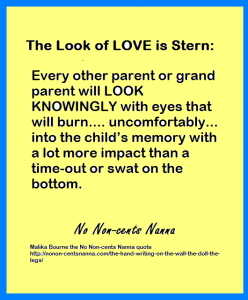 The Look of LOVE is STERN! 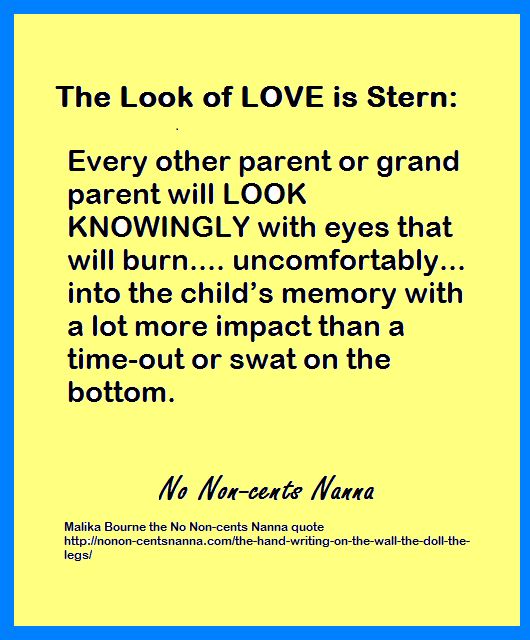 Every other parent and grand parents will LOOK KNOWINGLY with eyes that will burn, uncomfortably, into the child’s memory with a lot more impact than a time-out or swat on the bottom. 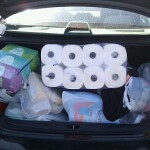 If anyone in the grocery store tries to chastise you for being a terrible parent..WALK AWAY...they never raised child. The look of love is stern. When, and they will draw all over their body with magic marker go ahead and take the kids to store..as they are ..decorated. Now it’s your turn to express your self. 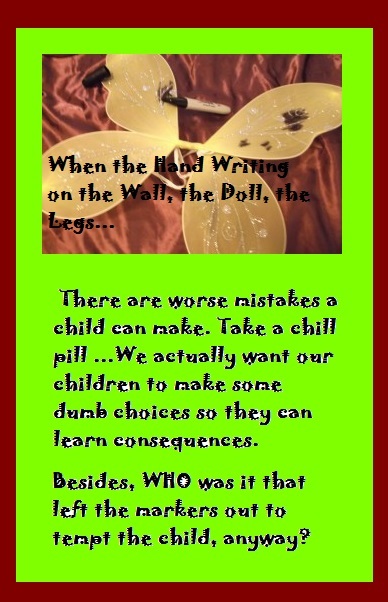 What do you do when kids write on the wall, their the dolls and their legs?